The Board of Directors at the Asian Development Bank (ADB) has approved providing the Maldivian government with an USD 33.07 million grant for the establishment a waste management system for sustainable development and environmental protection in the Greater Male’ Area. 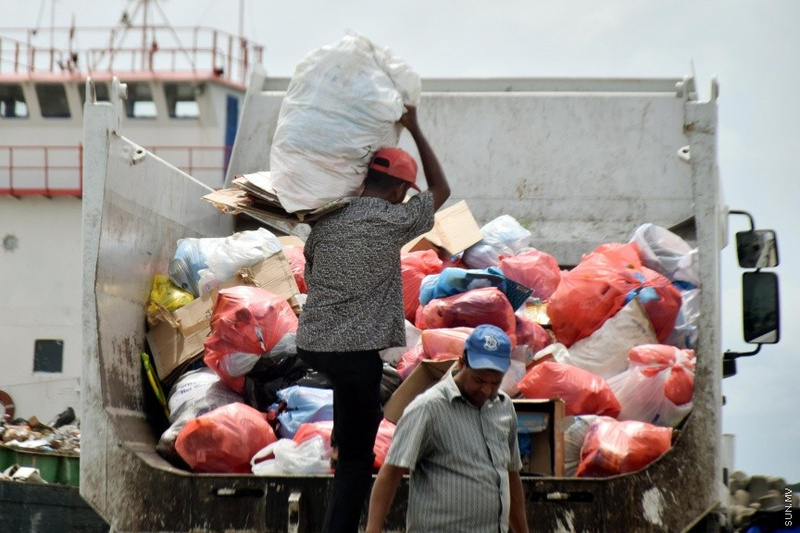 In a press release by ADB last Friday, Senior Urban Development Specialist at ADB, Ron H. Slangen noted the need to address the growing issue of solid waste in Maldives with the country’s continued urbanization and popularity as a tourist destination. “ADB’s support will help provide a healthy living environment in the Greater Malé capital area and its surrounding islands, boosting the country’s growth and tourism prospects,” said Slangen. ADB says the project will install an improved waste collection, transfer, and disposal system, including, trucks, transfer stations, waste vessels with rehabilitated harbor, and heavy equipment for dumpsite management. The bank also says the whole system will be made climate-resilient and disaster-resilient through strengthened seawalls, raised floor elevations, enhanced drainage, and emergency planning and awareness raising. The project will also enhance community-based island waste management systems at 32 inhabited islands. ADB says the USD 33.07 million project is expected to benefit 216,000 people, which is half of total population of the Maldives. Administration of a USD 2 million grant from Japan Fund for Poverty Reduction to help construct community-based island waste management centers, provide skills and capacity building to island communities targeting women, and deliver environmental awareness campaigns on the inhabited outer islands in the project area. The cumulative worth of the Waste Management Project (with the USD 33.07 million from ADB, USD 2 million from the Japanese government and USD 4.93 million from the Maldivian government) is worth USD 40 million. The project is expected to be completed by the first half of 2023.